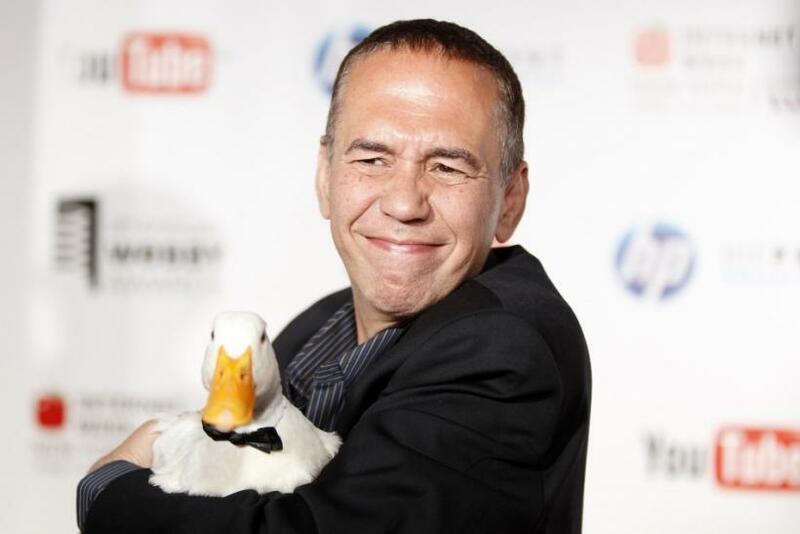 Comedian Gilbert Gottfried won't be getting the last laugh. The 56-year-old comedian and actor was fired on Monday after he tweeted a series of jokes about the earthquake and tsunami in Japan. Gilbert's recent comments about the crisis in Japan were lacking in humor and certainly do not represent the thoughts and feelings of anyone at Aflac, said Senior Vice President and Chief Marketing Officer, Michael Zuna via People.com. Aflac Japan - and by extension, Japan itself - is part of the Aflac family and there is no place for anything but compassion and concern during these difficult times. Gottfried who acted as the voice of the duck in Aflac insurance commercials has had that job for more than a decade. Under the Twitter username @RealGilbert, Gottfried poked fun at the disaster in Japan. I just split up with my girlfriend, but like the Japanese say, There'll be another one floating by any minute now. Japan called me. They said maybe those jokes are a hit in the US, but over here, they're all sinking. What do the Japanese have in common with @howardstern? They're both radio active. Japan is really advanced. They don't go to the beach. The beach comes to them.